/ What are Street Bike Helmets? What are Street Bike Helmets? 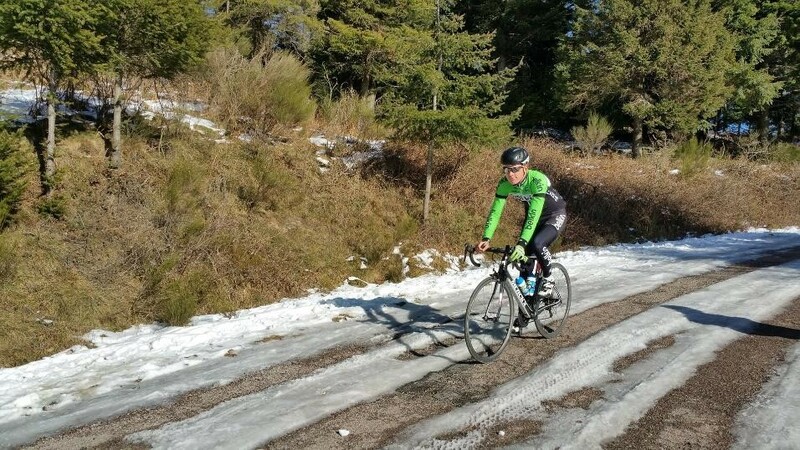 No matter how advanced of a cyclist you are, it is always a smart idea to become close friends with your helmet and have it with you at all times. A street bike helmet is a protective shell around your head in order to help protect it from injuries while riding, especially on the road. Moreover, it aids the skull in protecting your brain. Whether for yourself or another bike lover in your life, these helmets are worth looking into. This helmet will ensure that you receive the maximum safety and standard for what you pay. It comes with a detachable visor, Eco-friendly pads that are washable, and chin straps lined with delicate and soft cushion for comfort. Coupled with Team Obsidian’s in-mold technology, this bicycle helmet will is durable and feather light, not to mention that it has great ventilation for the ultimate bicycling experience. Airflow Bike Helmet truly checks off all the boxes when it comes to its aesthetics, comfort, and safety. While its sleek matte finish makes a great impression, this helmet has more than just looks. It is integrated with ABS Skeleton in addition to the expanded polystyrene shell (EPS) foam molded into the strong and thick outer layer plastic, acting as a protective layer for an enhanced performance from the shock absorption technology. As mentioned earlier, this has great air ventilation due to its 22 massive air vents making it weigh as minimum as possible without compromising on the safety of the cyclists. While you can choose between the 2 sizes, S and M/L, you can truly customize the size of this helmet to fit your head perfectly. It has the ability to be adjusted both horizontally and vertically to make sure your helmet is a tight and snug fit. Rest assured that this “one size fits all” helmet is guaranteed to work; otherwise you will get your money back. This state of the art helmet makes no compromise when it comes to appearance or safety, and with its money back guarantee, it is definitely worth the investment. For an amazing price, you get a helmet packed full of features that you cannot ignore. While selecting the size, it is better to double check with the sizing chart they offer, in order to get your perfect fit. Designed with the protective expanded polystyrene shell (EPS) foam in order to disseminate energy on impact and absorb shock so that it does not hurt your head or break the helmet. With the dial fit system, you are able to adjust the helmet as per your need to fit your head better. It has three changeable foam pads which you can choose to leave in or out, for a snugger fit around your head. With the Fidlock magnetic closure, it is easy to snap in your helmet and get ready to go on the road. For added comfort, it is softly padded around your chin. With 11 vents and internal channeling, not only is this helmet super lightweight but will also keep you cool throughout the day. This Street Helmet by Nutcase comes with a detachable visor and for added safety, a 360-degree reflectivity. The helmet is available in 7 fun and bold colors and patterns, so you really have the option to express yourself, and there is one to suit everyone’s personality. With CPSC and ATSM certified, this helmet can serve a wide range of consumers. Furthermore, the fun and bold colors are a fun way to express one’s style. These helmets by Nutcase are highly recommended. No matter how old your kid is, with its 360-degree internal pad system this helmet will surely prove to be a comfortable fit. Not to mention the cool design will garner a lot of compliments and is a great conversation starter. The tough outer shell is designed to be solid and protective to increase durability without it being too heavy. The subtle skull design and the smooth matte finish, make it be an exceptional looking helmet that any kid will adore. Not only is it acing in terms of looks, it is also serving its purpose pretty well. There are top, rear and front air vents to allow maximum cooling, alongside internal air channels that help increase and direct airflow. With its one of a kind design and functionality, this skull helmet is a steal considering the small price you are paying for this awesome helmet. It’s a great deal for the price. The helmet overall is of good quality, and not to mention the design is sophisticated yet totally cool. King Bike claims that this helmet will offer you professional protection. With an in-mold construction, this helmet has a tough polycarbonate outer shell with a polyester foam padding and EPS lining on the inside to absorb any energy on impact. It has 26 air vents and this allows for better ventilation, making this helmet much lighter and a lot cooler since air will be able to properly channel through. Wearing this helmet you will not have to worry about the sun or the rain getting into your eye as it has a peak cap brim which is attached by Velcro, making it extremely easy to remove. The package comes with a rechargeable rear flashlight for safety and this has 3 light modes; Always ON, Fast Flash, Slow Flash. Along with that, a helmet cover and a cloth helmet visor are also included in the package with the helmet itself of course. If the rechargeable light is not a make it or break it deal for you, then this helmet should definitely be on your radar while choosing helmet. This is another great option for kids aged 8 and above. The Thrasher helmet will stay secured on the head due to the side strap adjusters that help to fit the head properly. The Dial-fit retention system further helps to make adjustments comfortably and enables to prolong the usage and eliminates the hassle of fidgeting with straps. In case anyone falls face first, the protective bill on the front helps to defend the face. Similar to the previous helmets mentioned, this one has great air ventilation. With 20 air vents, Thrasher is light and keeps your head cool. With a cool design and only weighing little, this helmet can not only fit kids but also many adults. As a cyclist, you would want a helmet that will be able to withstand even the worst falls and keep you protected. The Revel Helmet by Giro is a great helmet for the cheap price that you pay. It has the same in-mold polycarbonate outer shell with the EPS lining inside for absorbing any impact. This helmet is sturdy, yet lightweight due to its 22 air vents that also keep you cool all day long. In addition to that, this helmet also houses an ACU Dial which makes it super convenient for adjustment. The Revel cycling helmet is one that has a great size range and with the solid build, it is worth taking a look. Perfect for the ages 8 to 14, this stylish helmet by Razor is worth every penny. It is very crucial for kids to be wearing a helmet that will cover their entire head and have a good absorption technology that will deal with impact effortlessly to protect them from serious injuries. This helmet checks all of those boxes and more. With 17 air vents, this helmet is designed to have great air channeling to keep you cool, and the additional sizing pads help guarantee a comfortable and perfect fit for anyone with the sizes from 22 to 23.5 inches. The release buckles that are placed on the sides make it extremely convenient to snap in and out of your helmet fast. With the variety of color options for this helmet, every kid of any age will not only be able to choose one that best fits their personality and aesthetics, but will also feel very stylish and cool while cruising down the roads with it on. This helmet will surely motivate kids to wear their helmets while riding as they get to show off their style through the amazing color selection. This is one all kids are guaranteed to love. Comfortable, lightweight and stylish, this helmet by Crazy Mars is a very good quality product at a very reasonable price. All products are officially distributed by Xiang Plaza and they are determined to provide quality products and outstanding services to their customers. 85% of the whole helmet is constructed with a high-density EPS foam structure which will effectively help reduce shock upon impact. Other than that, the material also consists of PVC and PC for more sturdiness and durability. A streamlined tail and light binding make for better coverage, security, and protection for the head. The helmet itself is highly adjustable, making it so that majority of the consumers are able to use it without any trouble and have a comfortable fit. It features an adjustable rotary internal regulator that makes it flexible when it comes to usage. The protective pad liner on the inside is removable, hence making it easy to wash and keep clean. There are also sweat chin pads which can be easily washed. Both the inner protective pad and the chin pads are designed to bring the utmost comfort to all riders. The Ultralight Stable Bike Helmet also comes with a visor that is removable, which comes in very handy to block of the sun and rain or to shield your eyes from unknown particles while riding your bike. This helmet scores high in both functionality and design. The multi-sport helmet is available in several stunning colors to suit everyone’s taste. Moreover, the rubbery coat on top gives it a more elegant look that is sure to make heads turn. We hope you’ve decided on a good street bike helmet by now! Helmets are a necessity for your own security purposes. Which fits you best will utterly depend on your physique and personal preference. 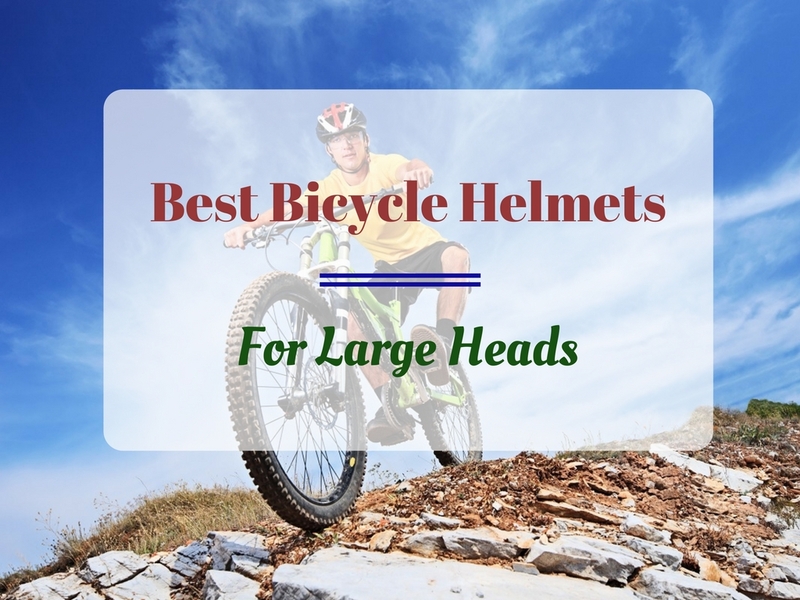 So take a look at the above-mentioned street bike helmets and be your own judge!